Position: Center of #4 (½ in.) rebar or ½ in. 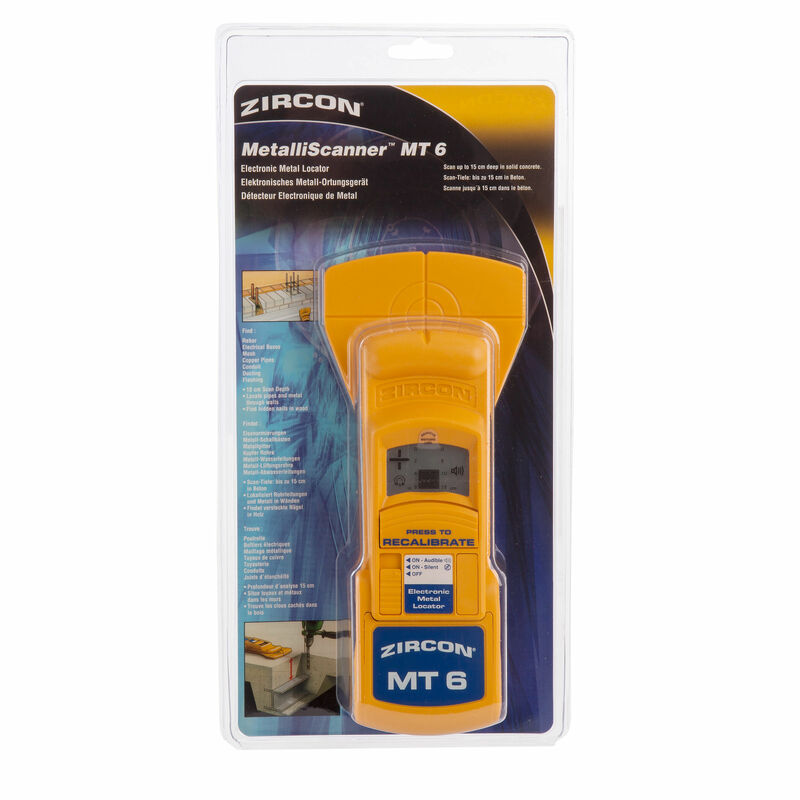 The Zircon MetalliScanner MT6 metal locator detects embedded Rebar, Pipes, Conduit, Junction Boxes, Metal Framing and Studs before your drill bit or saw blade does. Takes the guesswork out of drilling keeping the operator safe and the job on course. This powerful dedicated metal scanner is the tool you need if you are sawing concrete slabs or walls that contain rebar, conduit, or plumbing. It can locate metal up to 6 inches (152 mm) deep in solid concrete and other non-metallic surfaces. 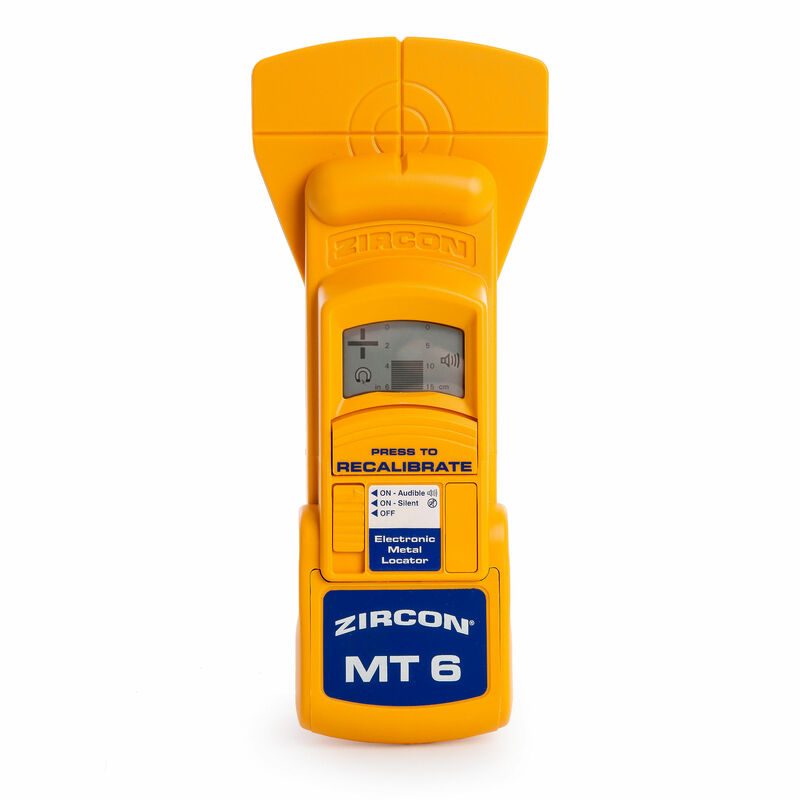 The MT6 locates, and differentiates between, ferrous and non-ferrous metal and indicates the target depth in inches and centimeters. When approaching a metal object, a large plus (+) sign appears on the display. When the plus becomes a minus (-), the tool has crossed over the target and is now moving away. 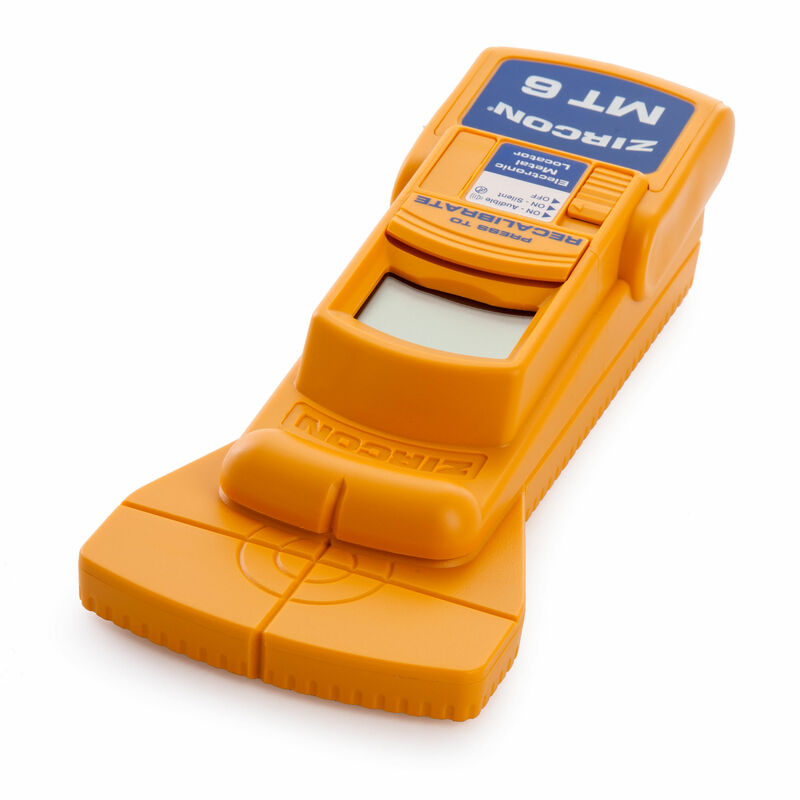 Use the MetalliScanner MT6 to find or avoid rebar, cables, pipe, nails in reclaimed wood, nails / tacks in studs behind lath & plaster walls, electrical boxes and conduit, and more. A 9 Volt battery is required for operation but is not included.